I just published my already done 1998/99 adaption of the American rules Volley & Bayonet (1st edition) by Frank Chadwick here on my revised website. 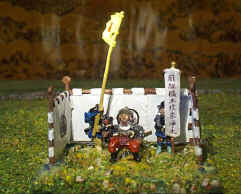 The adaption is particularly suitable for the simulation of large Samurai battles as Nagashino 1575, Shizugatake 1583 and maybe even 1600 Sekigahara. Anyone who wants to play the major battles, should look at the adaption here. And below you will find the complete order of battle, and many other information for playing the Battle of Nagashino: here. With my exotic theme “Samurai” I am specializing in the Sengoku Jidai period, the era of the Warring States, leading to the unification of Japan. 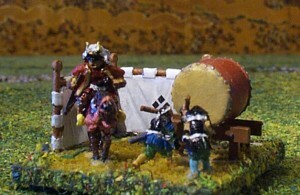 I am working on different Samurai related themes at the Moment which wioll be published om their own pages. 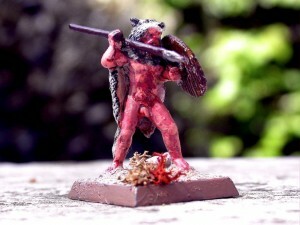 On my webpage about Ulfhednar I shortly inform about these wulf warriors and publish close-up Pictures from my Ulfhednar unit here . Hier is my page about Vikings. There are several subpages specially about Berserks and Ulfhednar. 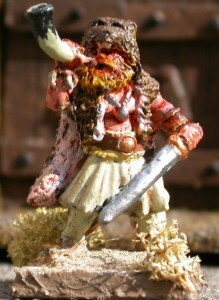 I just prepare another page about classical Vikings – raiding parties as well as whole armies. 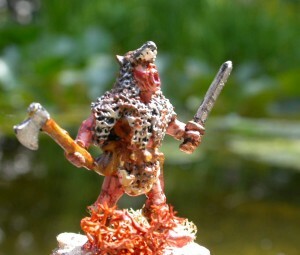 My Ulfhednarpage have informations about the wulf warriors and a picture gallery about my 12 men strong Ulfhednar unit. Finally I have managed to give my at least 10 year old webpage, still created with the historical FrontPage a new design. I have not yet published the entire contents of my old webpage, but I will do this the next weeks. Certainly there will be new content. I will report on this blog about all changes on my webpage. Then and now my webpage is used for my personal hobbies, especially the collecting, painting and the wargaming with historical miniatures but in addition also the wargaming with board games and my other hobby “Kendo – japanese sword fighting“. Since I prefer webpage -style , this blog is mainly used to report on new content of my website but is used too for all I want to talk about my hobbies, but which are not appropriate to put it on my Webpage. Blog and webpage are bilingual – German and English. Please execuse all english errors on blog and on my Webpage. English is not my native language.